This article was a review that highlighted the importance of adherence to a diet to its eventual success. 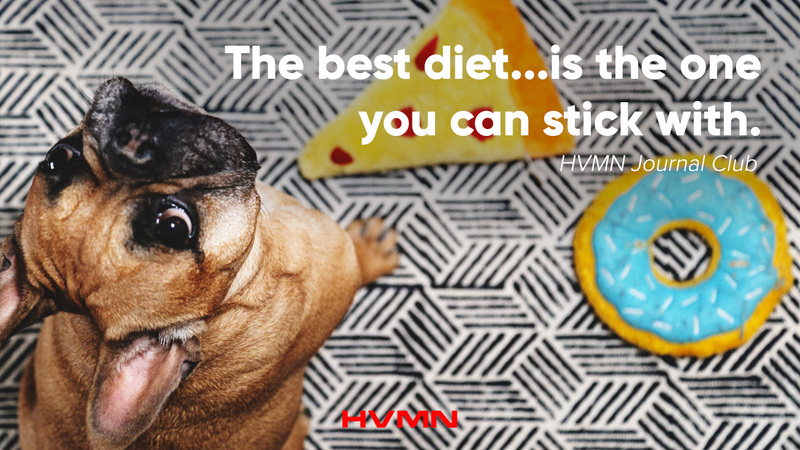 In other words, how important is it to stick to the diet you choose to follow for weight loss? In the introduction, the authors used several examples to illustrate the strong link between adherence to any given diet (regardless of macronutrient composition) and weight loss. They then discussed three targets to increase adherence. The first was controlling the desire to eat, potentially through using a ketogenic diet or synthetic ketone compounds. The second was increasing adherence through ensuring that the diet prescribed was similar to an individual's baseline diet. Thirdly, they discussed the association between consistent self-recording of food intake with improved weight loss, irrespective of accuracy. This review highlights that we should not overlook the truth in the old adage "the best diet is one you can stick to." Spread the knowledge and share this article with your friends! HVMN Ketone is the world’s first ketone ester drink, scientifically shown to improve metabolic performance and recovery. 15 years of research. $60m in funding. Once a week, we'll send you the most compelling research, stories and updates from the world of human enhancement. Call us at 1 (855) 486-6748 (Mon-Fri, 10 AM - 5 PM PST). HVMN, 38 Mason St, 3rd Floor, San Francisco, CA 94102. These statements have not been evaluated by the FDA. Our products are not intended to diagnose, treat, cure, or prevent any disease. © 2019 HVMN Inc. All Rights Reserved. HVMN®, Nootrobox®, Rise™, Sprint®, Yawn®, Kado™, and GO Cubes® are registered trademarks of HVMN Inc. ΔG® is a trademark of TΔS® and used under exclusive license by HVMN Inc.